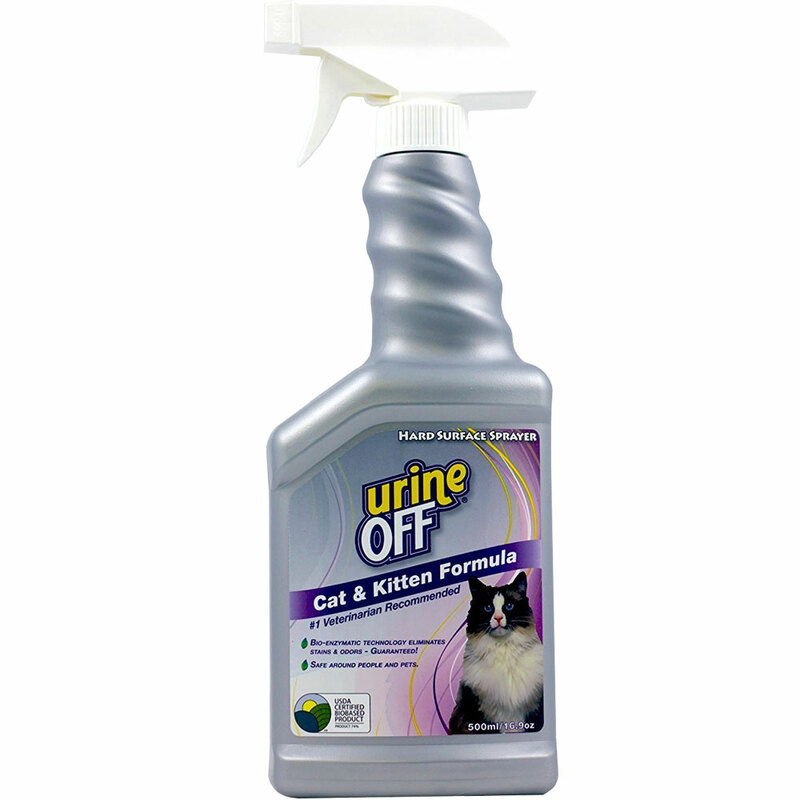 Urine-Off is safe and easy to use - just spray generously and let it dry. Urine Off must come into contact with ALL of the urine, so absorbant surfaces like carpet, furniture and mattresses need a good soaking. 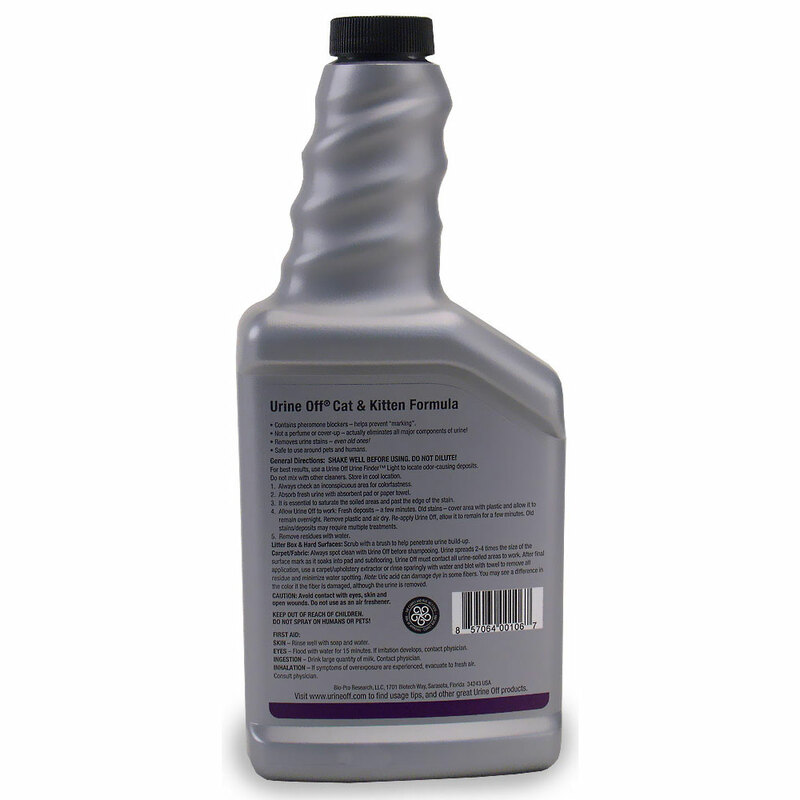 Many other odor removing products mask the odor temporarily. Urine Off works by breaking down the chemicals in urine, to eliminate it completely.